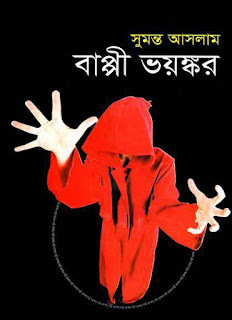 Bappy Voyonkor is a Bangla Novel written by a well known Bangladeshi writer Sumanto Aslam. Rontu, Topu, Indro, Chopol and Rupom are friends. Bappy is their new friend. They are sitting in the roof of Santu’s house. The house is very old. Once it was a Jomidar (Land Lord) House. They are waiting from one and half hours in there. They are waiting for Bappy. But he is not coming. If he is not come here they will fall in a very big problem today. No, Bappi is not coming. And here Mukhles Bepary was building a house in their playing ground. There is another problem in the area. From somewhere coming dead bodies on the river of their area, everyday. Who wander in the dark of night? There is a different panic in the area, despite Bappy not seen. Bappi finally found. Rontu, Topu, Indro, Chopol and Rupom are surprised. Bappy has done such a big work silently? Absolutely a terrible job! Sumanto Aslam is a Bangladeshi writer and journalist. He is born in 1stDecember 1971 in Sirajganj. His most popular writing is Baundule. When he is working on a fun magazine Alpin, he wrote an article per week under the banner of Baundule. Now he is working as a sectional editor on fun magazine Pechal. PDF File Size: 3.91 MB. To get update every new post of this blog; like us on Facebook, follow us on Twitter. You can ask your book demand by posting on our Facebook Group. If you like this book, please buy a hard copy of this book from your nearest book shop to support the writer and publisher.